Profile: Daniel Sereni is a Specialist in Internal Medicine. Professor of Medicine at University Paris Diderot. 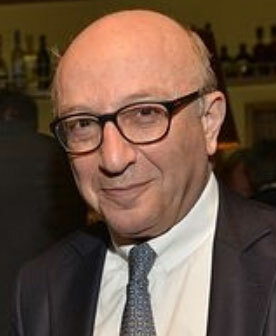 Member of the Administrative Council of EFIM (former President). 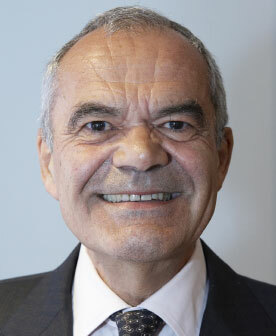 Former head of the Dept of Internal Medicine at Saint-Louis Hospital, Paris; President of the French Professional College of Specialists in Internal Medicine; Medical coordinator of the Continuing Professional Development Department at Assistance Publique-Hôpitaux de Paris. 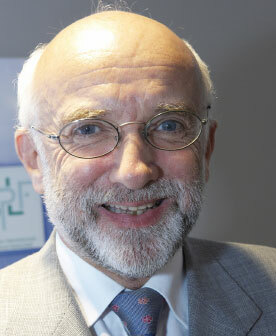 Profile: Philippe Jaeger is a Swiss Internist and Nephrologist, Honorary Chair of Nephrology at University College of London, UK, Invited Professor & Scientific Adviser at Geneva University, Switzerland. Founder member of FDIME. Prof Jaeger has been Chairman of the Dept of Ambulatory Medicine at the Univ. Hosp. of Berne, Switzerland, Chairman of the Dept of Nephrology at the Univ. Hosp. of Nice, France, and Director of Research & Development for Nephrology at Amgen International in London, UK. 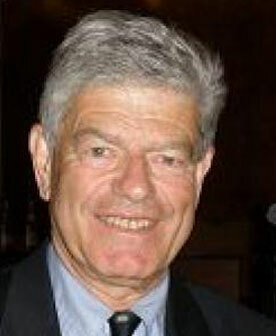 Has also been President of the “Swiss Society of Internal Medicine”, of the French “Society of Nephrology”, of the “Fondation du Rein” (of which he is initiator and Honorary President), and of the “European Federation of Internal Medicine” (EFIM, of which he is also a Founding Member). Trained in renal physiology and in nephrology at Yale University (USA). Current research activity focused on renal aspects of Bone and Mineral Metabolism, in particular Renal Stone Disease. Excellence in education has been the primary objective of his academic career, and a strong position for Internal Medicine in Health Care, the leitmotif of his medical career. Profile: Formerly Internist-Endocrinologist at St. Franciscus Gasthuis, Dpt. of Internal Medicine, Rotterdam. ‘After having served as a Secretary General in EFIM for eight years it was an obvious step to continue in a similar function for FDIME using the previously gathered experience. FDIME has always been independent, but closely related to EFIM and therefore, with its aims which I fully endorse, I am very happy to be the FDIME Secretary General for the next few years. 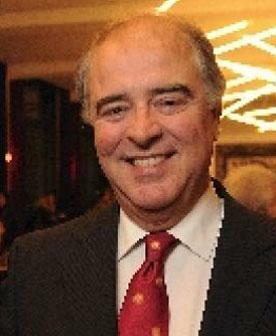 Profile: Ramon Pujol Farriols is a General Internist. He has been Head of Internal Medicine in the Hospital Universitari de Bellvitge (Spain) a large teaching Hospital in the Barcelona area. He is Professor of Medicine at the University of Barcelona and current Director of the Department of Clinical Sciences. He is a Fellow of the Royal College of Physicians of London and of the European Foundation of Internal Medicine. He has been especially devoted to research into Medical Education and topics relating to ageing. He has published more than 200 papers in indexed Medical Journals. Profile: Imad M-M Hatem was born in Damascus (Syria), married, a Swiss citizen, fluent in several languages with a PhD in Business Administration and Economics. After a career start in the petroleum industry he joined the financial industry working for major institutions in Switzerland and abroad. Currently he is Chairman of Partners for Sustainability a web based platform active in communication and analysis of sustainability funds. He is treasurer and member of the board of several charity foundations.